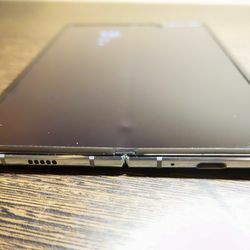 Look closely at the picture above, and you can see a small bulge right on the crease of my Galaxy Fold review unit. Its just enough to slightly distort the screen, and I can feel it under my finger. Theres something pressing up against the screen at the hinge, right there in the crease. My best guess is that its a piece of debris, something harder than lint for sure. Its possible that its something else, though, like the hinge itself on a defective unit pressing up on the screen. Its a distressing thing to discover just two days after receiving my review unit. More distressing is that the bulge eventually pressed sharply enough into the screen to break it. You can see the telltale lines of a broken OLED converging on the spot where the bulge is. Whatever happened, it certainly wasnt because I have treated this phone badly. Ive done normal phone stuff, like opening and closing the hinge and putting it in my pocket. We did stick a tiny piece of molding clay on the back of the phone yesterday to prop it up for a video shoot, which is something we do in every phone video shoot. So perhaps a tiny piece of that snuck into a gap on the back of the hinge and then around or through its cogs until it lodged in between the screen and the hinge. Itd be sort of like Charlie Chaplin getting caught in the gears in Modern Times. Or maybe something got in another one of the little gaps somewhere else. Or maybe it was pieces from the hinge itself breaking loose and working their way up into the screen. I dont know. I just know that the screen is broken, and there was no obvious proximate cause for the bulge that broke it. I certainly havent used it on a beach or shook it in a bag of chips or anything wild. Just normal use. 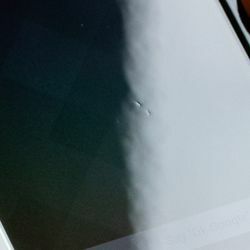 Weve seen worries about scratches on expensive phones and debris breaking the keyboard on expensive MacBooks, but a piece of debris distorting the screen on a $1,980 phone after one day of use feels like its on an entirely different level. I reached out to Samsung right away to get a statement, but as of right now they have not given me an official one. I have, however, received a replacement review unit from Samsung. I think the first one is on a jet to South Korea for Samsungs engineers to take apart and diagnose. 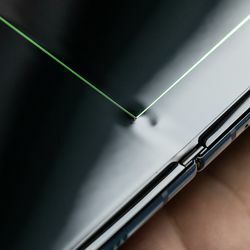 Mark Gurman of Bloomberg also broke his, but thats perhaps because he removed a protective layer that looks like a screen protector, but definitely isnt meant to be removed. 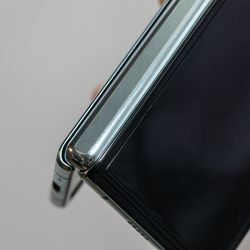 Like everybody else, I said in my original hands-on with the Galaxy Fold that I absolutely am able to see the crease between the two sides of the screen. But when Im using the phone, I dont actually notice it much. 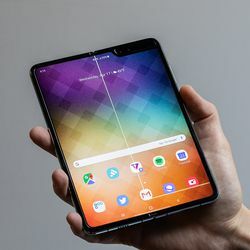 Its easy to talk about it as a small first-generation compromise you have to make for what is otherwise a wonder of engineering: a tablet that folds in half. Another thing people are worried about is the plastic screen scratching or picking up nicks easily. There are already a couple of minor dings on my unit, but theyre minor enough that I didnt see them until our photographer zoomed way in to show them to me. 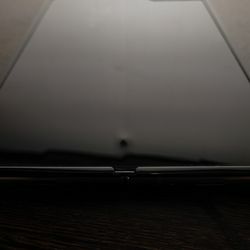 If you look closely at the edges of the screen, theres a sort of built-in screen protector on the front of the device. Samsung calls it a polymer layer. 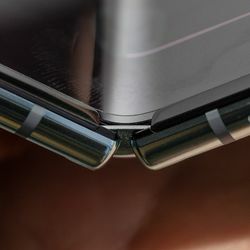 But while the crease and the nicks feel like compromises you could live with, a mysterious bulge that breaks the screen is something else entirely  especially one that appears just a day after pretty normal use. Its a problem that is unacceptable on a phone that costs this much. Every phone with moveable parts is going to have more points of failure than a fully sealed, static phone. So its natural to say that you need to treat it with more care than usual. Before I saw this bulge, my impression was that this phone was much more durable than I expected. The hinge always felt solid and well-built. 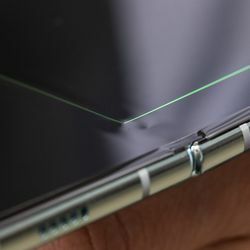 That impression of (relative) durability is obviously as broken as the flexing screen now. 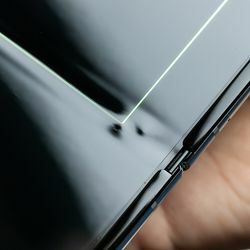 If Im right and its debris, it means that not only do you need to treat your phone with care, but you also have to worry about stuff getting in underneath the screen. If Im wrong and its some kind of defect in the hardware, well... then were in entirely different territory. Either way: yikes. Published on Wed, 17 Apr 2019 17:52:48 GMT, © All rights reserved by the publisher.